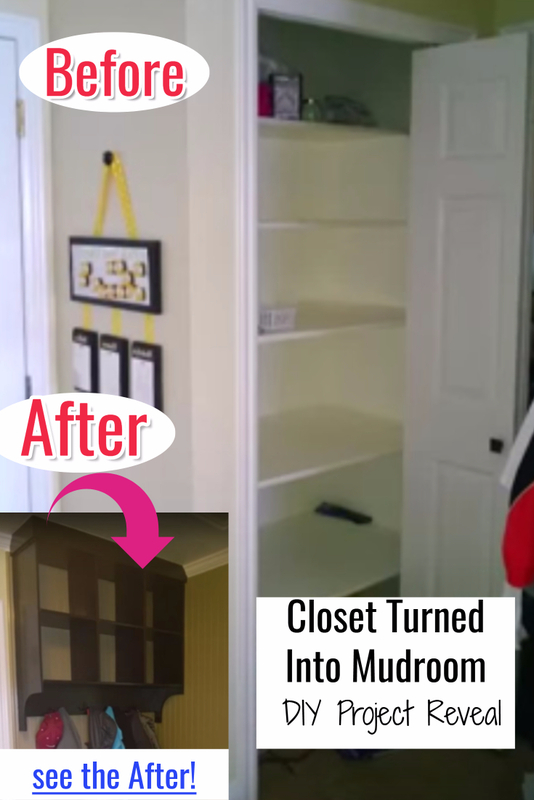 Just wait until you see THIS awesome DIY home project to try – turn a small hallway or entryway closet into a mini mudroom! I’ve got a serious MUST HAVE when it comes to mudrooms lately – I’ve been pinning mud room designs on Pinterest like crazy! I want one – and I want it NOW! haha! If you like farmhouse style decor, check out these farmhouse mudroom ideas. An the whole process is in the 35 second video below. Pretty darn awesome, right? I’m SO turning one of my closets into a mini mudroom!